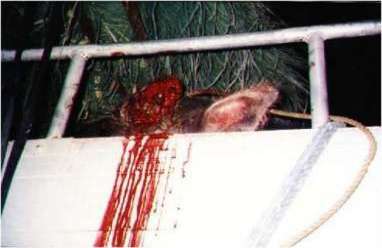 In the Philippines as everywhere else most people want to eat the cadavers of animals. They ignore that this food is not only pointless but harmful to their health at the same time. And things are not good - as they should be. Long distance transportation : thanks to your support, our never ending struggle becomes successful. 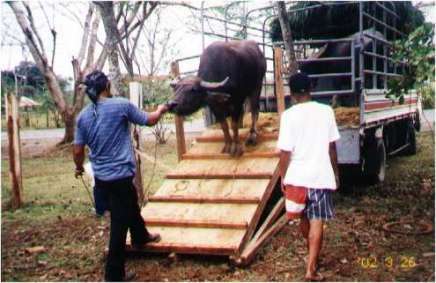 The carabaos are still sent from Palawan to Manila to be slaughtered but the transport conditions are now improved (more details in our "News" section). 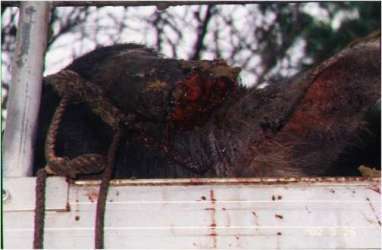 As you can see on the pictures below, some accident still do happen. However, for the moment we propose not to send any more petitions.